I love having a good natter. So be it as an MC, speaker or in running creativity or writing workshops, my style is accessible and inspiring, perfect for young minds, in-betweeners and old ducks alike. Check out a couple of my creativity sessions below. Or get in touch about developing something new for your curriculum or special event. The Story of a Story uses my new series Starring Olive Black as a framework to share the story of how books travel from concept to the bookshelf. 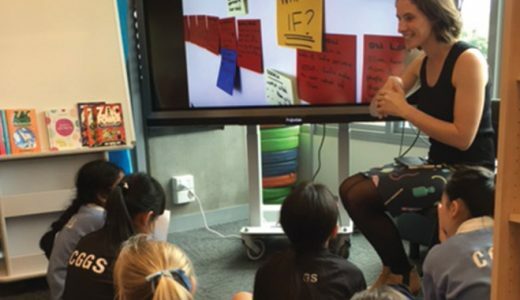 Kids see real examples of idea generation, plotting, editing, illustrations and design and along the way learn how they can apply the principles of patience, perseverance and collaboration to their own writing. 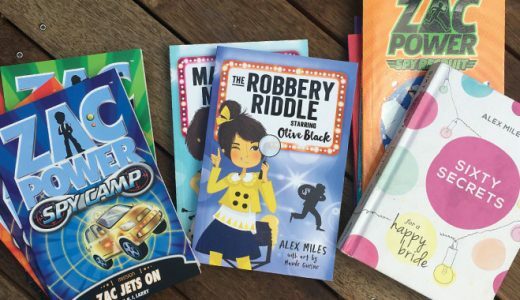 I also draw on my experience from writing books in the Zac Power series, as well as my time as a storyliner on Neighbours. I’m flexible and will endeavour to accommodate specific requests, for example, author Q&A at the end of the session. Ideal for Years 3 – 6. 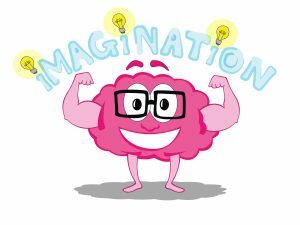 The Imagination Muscle uses active games and tasks to show kids that the ‘Imagination Muscle’ is something everyone is born with. And just like the other muscles in our body, the more we train them, the stronger they’ll become. 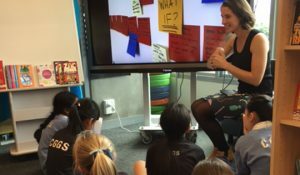 In this workshop we focus on training the Imagination Muscle to help make reading more fun and to write better stories. 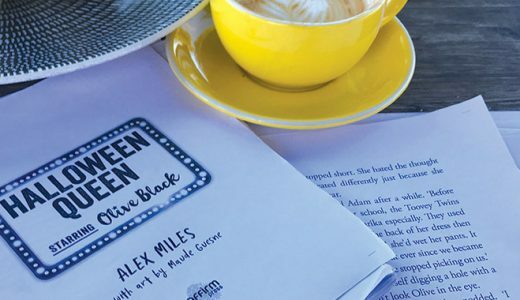 I draw on my experience from writing books in the Zac Power and Olive Black series, as well as her time as a storyliner on Neighbours. I’m flexible and will endeavour to accommodate specific requests, for example, author Q&A at the end of the session. Teacher resources and a personalised class poster are emailed after each visit. And thanks Jack Chadwick for this illustration. Ideal for Years 1 – 5. I visit schools, libraries, festivals and events across Melbourne and regional Victoria, as well as interstate when I can. 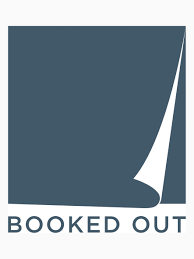 All speaking engagements are managed through the wonderful folk at Booked Out Speakers Agency. Please contact them with any enquiries and I hope I’ll be able to meet you soon!